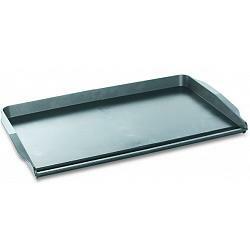 This griddle from Nordic Ware was proudly made in the USA and boosts a 5 year warranty. The cast aluminum double griddle spans two burners and provides even heat distribution. The raised edge allows for easier flipping of foods and the high sides keep the spatters contained. The griddle has a sloped design that drains oils forward into a collection well for easy disposal. You can use the griddle for eggs, french toast, pancakes, bacon, sandwiches and much more. 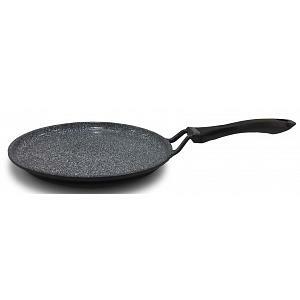 The griddle has the following dimensions: Interior: 18.5"L x 10.63"W x 1.25"H - Exterior: 20"L x 12"W x 1.88"H.